DECEMBER IN THE MARGO JONES! So many shows all in one month! ------- Keep scrolling down for more! Click above image to go open the ticketing site for Sleigh Hard and Die with a Vengeance! SLEIGH HARD AND DIE WITH A VENGEANCE! Click here for their Facebook event! Camp Death is proud to present their SIXTH world premiere show. 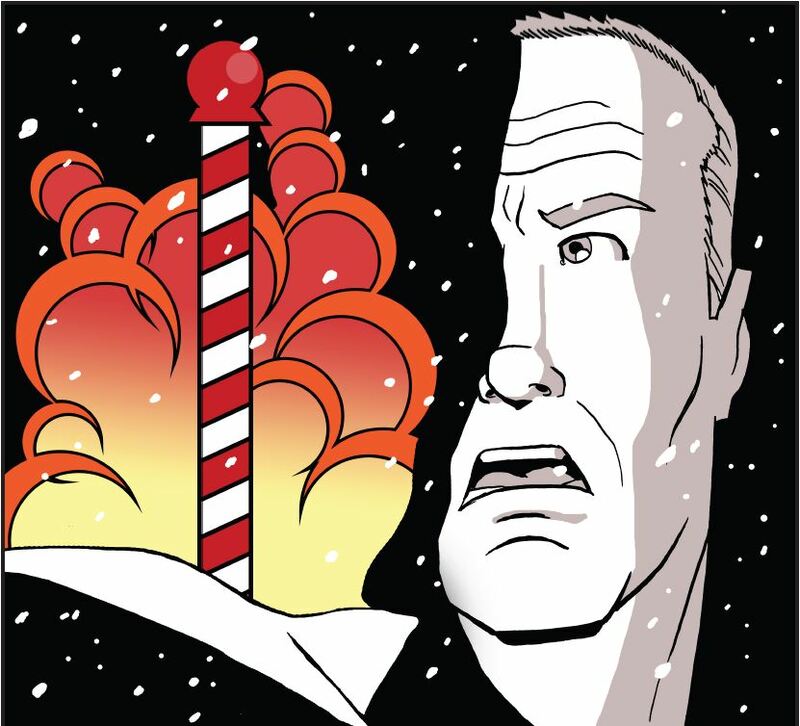 SLEIGH HARD is a loving homage and spoof of the best Christmas movie of all time: Die Hard. Mac Kane has the worst luck. He's a tough LA Cop, who decides to visit his wife living at the North Pole for a peaceful and relaxing Christmas Eve. Little does he know that Terrorists have other plans when they take over Santa's Workshop. Mac finds himself outnumbered and outmatched. This spoof of Die Hard and Action movies will make you laugh and think. Just kidding. It will make you laugh though. Running December 2-23 in repertoire with N47. Performances will be Saturdays at 8:15, Sundays at 3pm, intermittent Tuesdays, Wednesday and Thursdays at 8:15. Show is Rated R for language. Camp Death's show is playing in rep with A Very Nouveau Holiday! ​Bring a program from attending N47's show to get $5 off a ticket for Sleigh Hard! Click above image to go open the ticketing site for A Very Nouveau Holiday 2016! ​A VERY NOUVEAU HOLIDAY 2017! ​Click here for their Facebook event! Click here for ticket sales info! A holiday show for people who don't usually like holiday shows! Back for another round - it's our fifth annual year! ​For the fifth year in a row N47 brings you a spread of quirky, thoughtful, hilarious, pensive... all different, all new, all holiday plays! BYOB, bring all your friends, and expect the unexpected! N47's show is playing in rep with Sleigh Hard and Die with a Vengeance! ​Bring a program after attending their show to buy a $10 ticket for A Very Nouveau Holiday. Click above image to go open the ticketing site for Frosty! A holiday circus revue featuring the shamelessly festive shenanigans of the Circus Freaks. Two Shows Only! Don't miss it! If you want to know more about Circus Freaks and their delightful previous shows, click here to check out their website to learn more about them. Improv Dallas joins us for an amazing showcase of talent on Dec. 13! We have to be secretive about this one, but we promise it is NOT TO BE MISSED! Mark your calendars and follow the Margo Jones Theatre Facebook page for a special announcement on Dec. 22nd! For any necessary refunds - contact the individual theater groups! Our ticket providers require us to tell you that they are not responsible for refunds for any reason, including without limitation, cancellation or postponement of events, customer dissatisfaction with performances or seat location, lost, stolen, damaged or destroyed tickets, or any other reason.